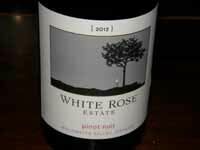 The owner and producer at White Rose Estate, Greg Sanders, acquired the 10-acre White Rose Vineyard in the Dundee Hills in the summer of 2000. A few years prior, having found satisfaction as the owner of a moderately large manufacturing company in Los Angeles, Greg began to look for something that offered an emotional connection and found it in wine. Since he was not one to do things a little bit as he put it, he began an exhaustive exploration of Pinot Noir wines, beginning with ones from California, then Burgundy and Oregon. He tasted all the well-known labels and studied the wines in depth to learn what made them special and what allowed them to age. Eventually he arrived at an “aha!” moment and decided the key was an old vine vineyard. An adjacent 4 acres were acquired in 2009, planted to Dijon clone 115 grafted to American rootstock, and named the Guillen Vineyard after Jesus Guillen who has managed the White Rose Vineyard since 2002 and his son, also named Jesus Guillen, who is Greg’s winemaker. Greg also sources fruit from a number of Willamette Valley’s top growers in the Yamhill-Carlton District, Dundee Hills, and Chehalem Mountains appellations. Greg is largely a self-taught winemaker (he prefers the term “producer”) who made his first wine in 1999 and his first commercial White Rose Vineyard Pinot Noir in 2001. His winemaking production has evolved slowly over the past 13 years tied to the emotional connection he has with wine. Since 2011, he has embarked on a program that he terms “The Neo-Classical Objective.” It is a highly innovative approach for the Willamette Valley and somewhat polarizing in its theory. Greg does not consider it revolutionary since it is soundly based in Old World winemaking techniques. My following words paraphrase Greg’s philosophy. There are two parts to The Neo-Classical Objective: the “why” and the “how.” The “how” is the more simple part, the “why” more difficult to elucidate but is the impetus, so let me start with that first. Simply put, neoclassical refers to an alternate presentation of wine that elevates “pinotnoirness” above everything else. 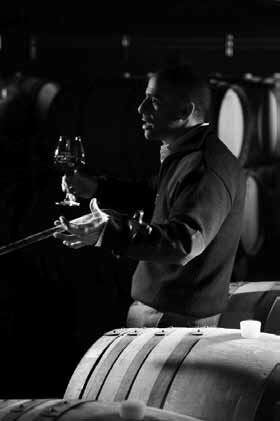 The word classic refers to the many presentations of pinotnoirness over multiple generations. The first requirement to achieve the neo-classical objective is to have an old vine vineyard. Vines must be old enough to make an age worthy wine. There must have enough phenolic and tannin components to outlast the process of oxidation over time. Tannins cannot be overriding initially as the wine will be austere initially, requiring years to oxidize, often reaching an acceptable level at the time the phenolics (fruit flavors) have dissipated. The vineyard must be in the correct location, produce quality fruit and be subject to the proper temperature such that the resultant wine can achieve a sense of pinotnoirness. In the classic sense, the grapes should reach a state of crispness and freshness, preferably with raspberry and blackberry flavors. Greg gives the following analogy. If you randomly pick nine cherries and put them in the palm of your hand, three will be dark and concentrated (very ripe), three will be crisp and fresh, and three will be lean and tart. The most desirable cherries for a classic driven Pinot Noir are the crisp and fresh ones. Thus, the timing of the picking decision is critical. The “neo” term in “neo-classical” incorporates the “how” in The Neo-Classical Objective. Greg’s current approach to handling fruit, skin and seed tannins both in the vineyard and in the winery. Too little tannin and the wine will not last, and too much tannin leads to an edgy wine initially that takes years to resolve the tannins. In past generations, the tannins in wines could be overwhelming initially, something Greg avoids completely. The ultimate objective is to have a wine that is good from day one and that will undergo metamorphosis over time, not becoming necessarily better, but different. Ideally, Greg wants much of the skin tannins to oxidize away on the vine at the same time as the grape phenolics reach ideal ripeness (tannins are antioxidants, so as they diminish, the available oxygen that results can ripen the phenolics). Invariably, some tannin remains at harvest, but he picks at a time he can manage the astringency. In the cellar, punch downs are avoided to prevent rupture of berries and the release of harsh, bitter seed tannins into solution (gentle punch overs are employed instead). Post-fermentation, the must is pressed off using a laborious old world basket press. In addition, post-fermentation maceration is minimized, again to avoid extracting too much additional tannin. Seed tannins take forever to oxidize and by then the fruit in the wine is gone. The must is gently pressed off using a manual old world basket press that avoids breakage of seeds and stems. 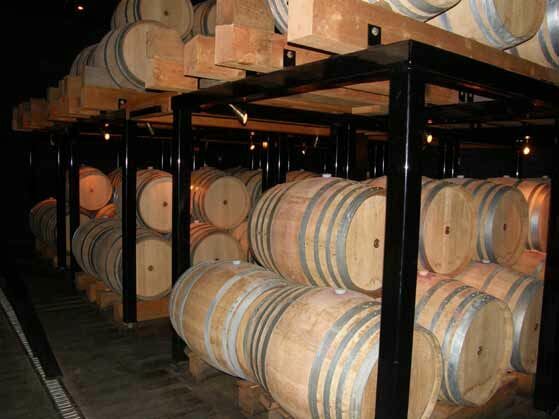 The wines are barreled down in French oak for about 15 months, racked once after malolactic fermentation, and then again just before blending. The wines are bottled unfined and unfiltered. Greg’s Pinot Noirs produced from old vines in the neo-classical objective mode, are fermented 100% whole cluster. He is not the least bit worried about the stems, only the flavor, phenolic intensity and tannins. 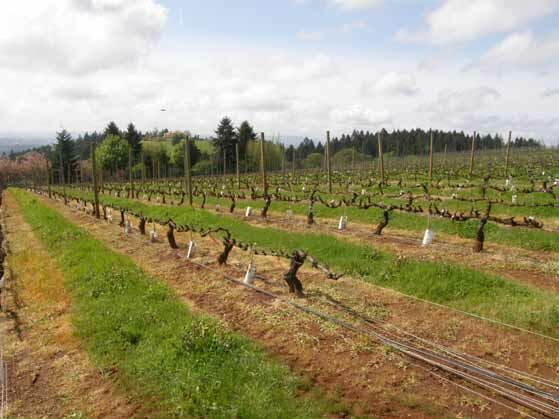 In some years, tannin management is not ideal, and some mild herbaceous character may creep in, which may not appeal to all Pinot Noir drinkers. Still, Greg is undaunted, for the nuances, texture and haunting aromas and flavors, and age ability associated with whole cluster fermentation are too advantageous to him. 1) Farm an old vine Pinot Noir vineyard planted to quality clones or selections appropriate for the site. 2) The vineyard must be located in the proper microclimate as growing temperatures dictate success. 3) Pick the grapes for crispness and freshness and modest tannic astringency. 4) Gently handle the fruit in the winery with efforts devoted to avoid excessive extraction of tannin, particularly seed tannin. 5) Use 100% whole cluster fermentation. 6) Press the must manually with a basket press. Greg has expended considerable effort in improving the grounds of his property, the tasting room, and the winery so it will connect with people’s emotions and the “White Rose experience.” The tasting room is unique in that it has no windows do distract the visitor from the wines. In the cellar, elaborate mood lighting creates a striking atmosphere, and all the barrels are uniformly sanded for an engaging appearance. When I recently visited, Greg was at home in Orange County, California (he spends considerable time in Oregon at his winery as well). 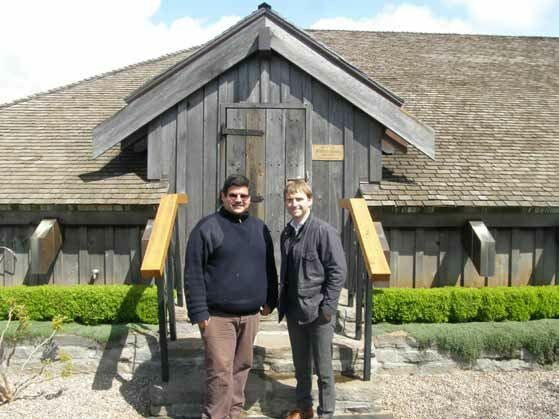 I was hosted by assistant winemaker Jesus Guillen (right) and manager Gavin Joll shown in front of the winery’s tasting room entrance. The winery and cellar is located underneath the tasting room. 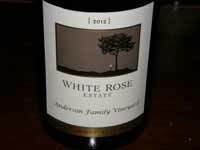 We tasted through some of the 2011 and 2012 vintage White Rose Estate Pinot Noirs and I came away with profound respect for Greg’s accomplishments. I found the wines displayed haunting floral and exotic spice aromas and flavors associated with 100% whole cluster ferments, with no herbaceous character evident in any of the wines. For me, and many other wine enthusiasts, whole cluster aromatics are like “catnip for humans.” The wines also had structure yet elegance, and modest, well-integrated tannins. All the wines could be enjoyed now. I would encourage readers to experience these wines for their unique qualities. A number of Oregon wineries are experimenting with some whole cluster inclusion in the manner of 10% to 30%, with an occasional 100% whole cluster bottling. 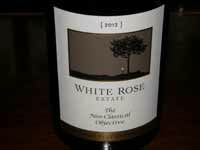 Other than Cristom Vineyards and Thomas Geerie Wines, there is no other Oregon winery that I know of other than White Rose Estate that is fully committed to whole cluster vinification. Located at 6250 NE Hilltop Lane in Dayton, the tasting room is open daily from 11 to 5 P.M.. Tours are available by appointment. The wines are sold through a mailing list and on the website: www.whiteroseestate.com. The Explorer’s Club offers unique bottlings. In 2012, wines were offered from different elevations. In 2013, different clonal bottlings from the same vineyard will be offered. The Neo- Classical Club includes wines that are collectable and age worthy.